What is the deal with "Vitality" Essential Oils? It is simple. The FDA requires that Essential Oils be labeled appropriately for their suggested use. An Essential Oil (according to the FDA) cannot be labeled as topical/aromatic and internal supplement use. It is a marketing issue. Young Living is the FIRST and ONLY Essential Oil company to abide by the FDA Labeling Regulations for marketing. (It is one of MANY reason I love Young Living - Integrity! 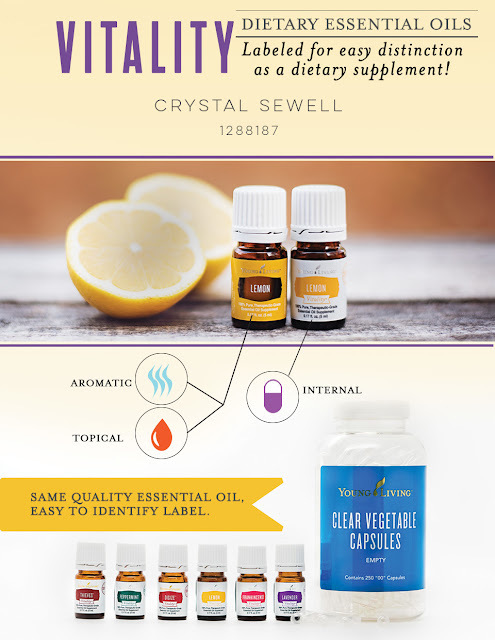 As you get started with Young Living you will notice that some of our oils are labeled for internal/supplementation use or Topical/Aromatic use. Same oil, just different labels for marketing purposes. Peppermint is widely known for it's digestive supporting properties. I love to add a drop or a *tap* of Peppermint Vitality Essential Oil to my daily NingXia Red drink each morning to help promote healthy digestion throughout my day. Did you know that it takes 1 pound of raw peppermint material to make just 1 15ml bottle of Peppermint Essential Oil? One of the other ways I LOVE to use my Peppermint Essential Oil is in Peppermint Patties! It could be argued that these sweet treats are *healthy* for you, but I can't make any absolute claims to that - they sure are tasty though! Peppermint Essential Oil is also a key ingredient in Young Living's Deep Relief Roll-On. Definitely do your own research on the health supporting benefits of Peppermint! 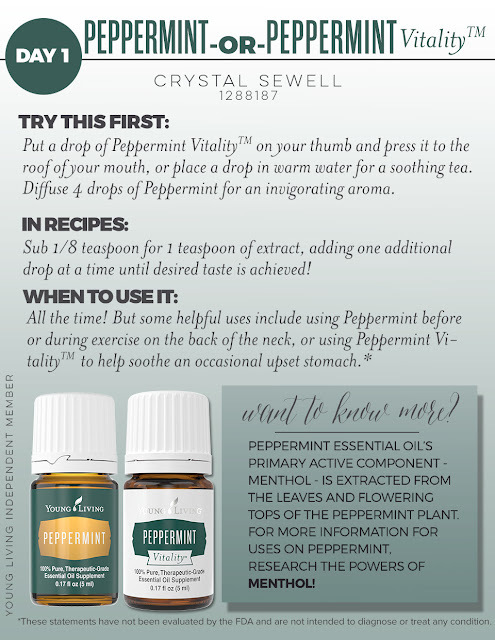 What is your favorite way to use Young Living's Peppermint or Peppermint Vitality oil?